Fresh Marinara is the basis for so many awesome dishes – from pizza, to Italian meatballs, to shrimp marinara. It’s perfect for a dipping sauce for golden mozzarella sticks, as well. When you make this, your house will smell like a cook’s home in Tuscany! 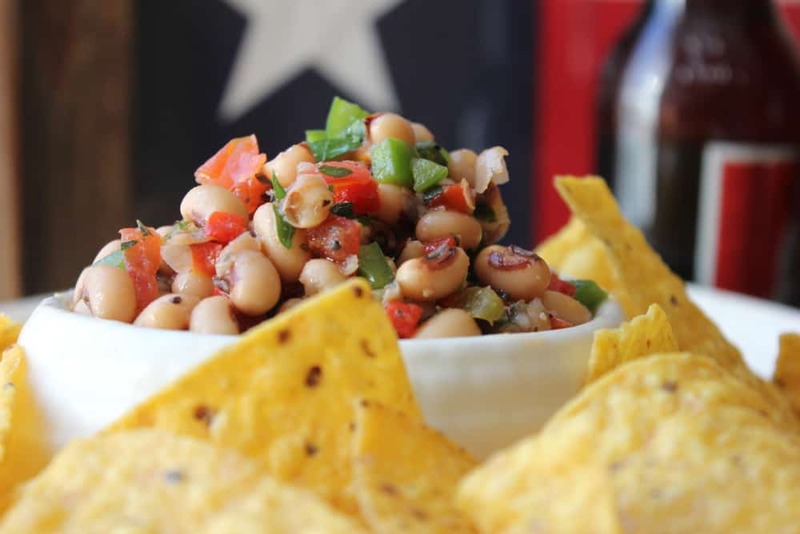 Make a big batch and freeze what you don’t use for quick and easy future use! 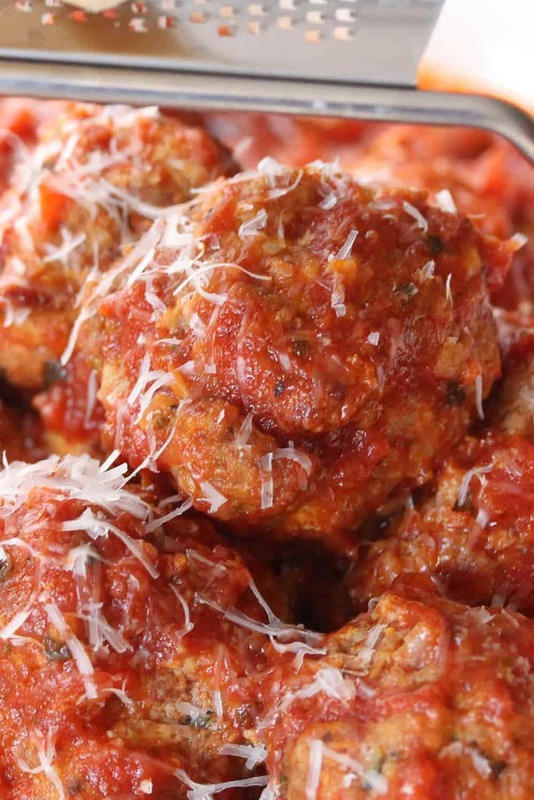 Use this marina when you are making a H2FaL classic: Authentic Italian Meatballs recipe! Mama Mia, is that good! 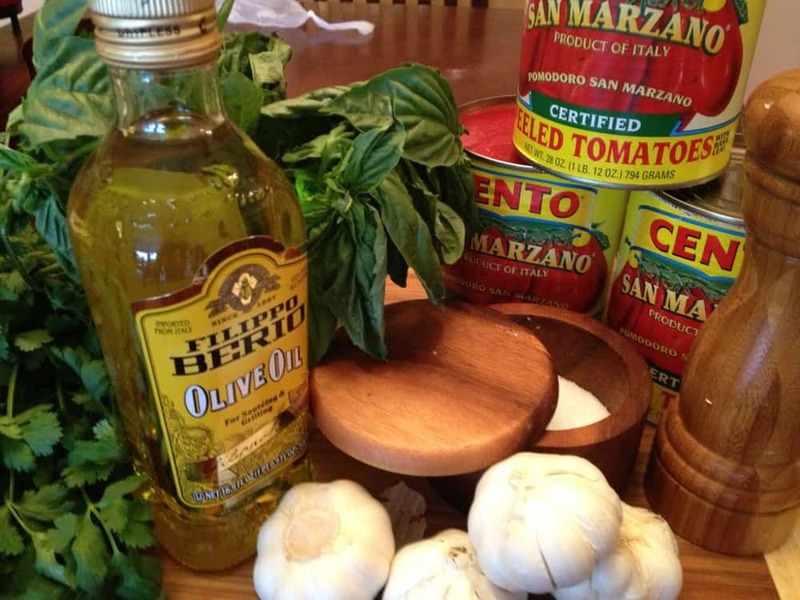 Find the best ingredients, and you can’t go wrong with making the best Fresh Marinara you’ve ever tasted! Incredible! Now, let’s make this incredible Fresh Marina recipe! 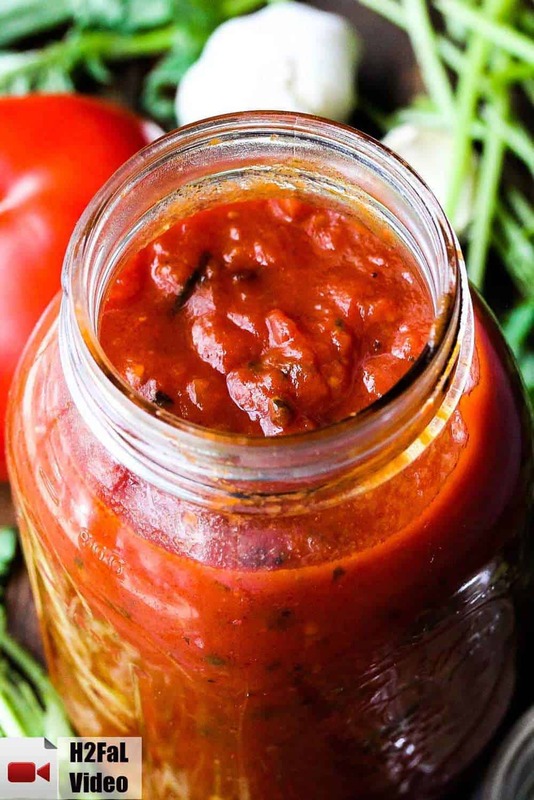 This recipe for Fresh Marinara is one I have been using for years. So flavorful, and perfect for all your Italian dishes! Drain the tomatoes in a colander set in a large bowl for 5 minutes. Reserve the tomato liquid. In a large pot, heat the olive olive oil over medium heat. When the oil is hot, add the garlic and cook it; stirring, for about 5 minutes, or until it is golden brown. It should turn golden brown, but don't let it burn! Add the basil, parsley, salt, and pepper. Cook the mixture for 30 seconds. Add just the tomatoes (not the juice...hold onto the juice). Break the tomatoes up with your hands as you add them to the pot. Increase the heat to high, and cook them for 5 minutes. Reduce the heat and simmer the sauce for about 10 minutes. Add the reserved tomato liquid. Boil if for 12 minutes, until slightly thickened, stirring occasionally and scraping bottom to prevent burning. Turn off the heat and let set for at least an hour. Hi Kris! 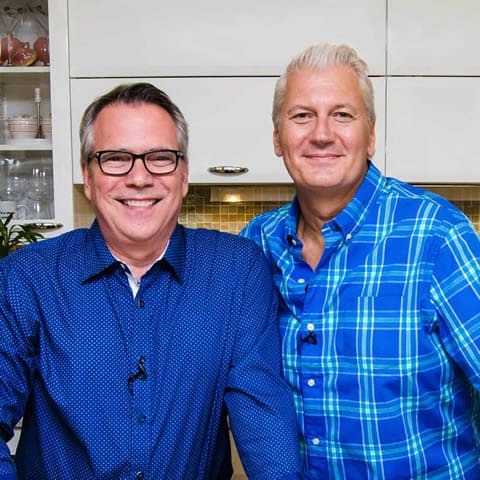 I’m so excited to make your marinara sauce, especially to go into your Baked Ziti recipe! 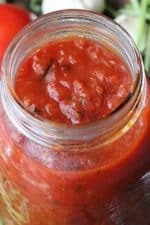 My question is, how much does this marinara recipe yield? I’m planning to make more than one Ziti recipe (one to serve, one to freeze & give as a gift w/ cooking directions) so I don’t know how many marinara sauce recipes this will yield. Thank you! Thank You!! I’ve been looking for a homemade marinara sauce. Every time I’ve found a recipe that uses marinara the instructions have said to buy it. Arghhh. I can’t wait to try this one. So glad I found you guys today! Just made this. At what point do you crush the tomatoes?